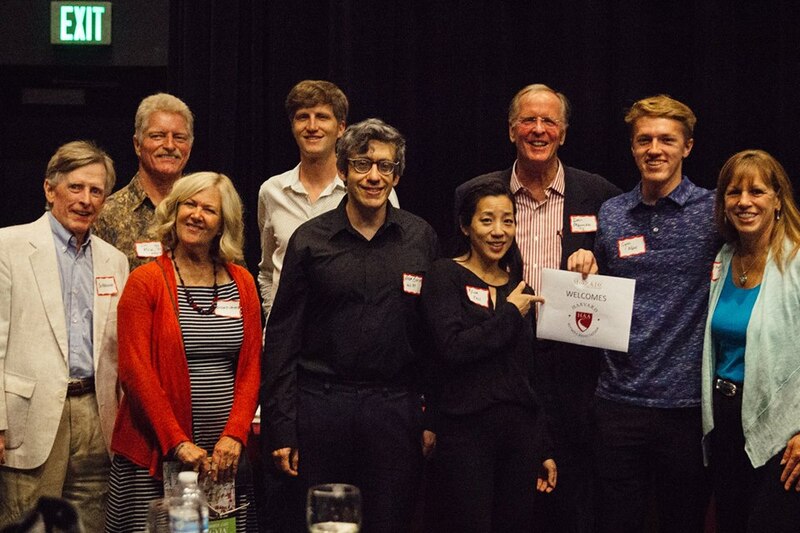 San Luis Obispo County Harvard alumni ranging from Class of 1972 to a 2006 Ph.D. gathered for a special Harvard alumni reception prior to the performance of Strauss’ Metamorphosen at Festival Mozaic, July 29, in San Luis Obispo. The inspiration for the reception came from the presence of three Harvard alumni in the highly acclaimed Festival orchestra. They included Music Director Scott Yoo and performers Noam Elkies (youngest person to earn tenure at Harvard, performing on piano and harpsichord) and Nina Fan (performing on violin) seen in black in the group photo. (See www.FestivalMozaic.com for details.) 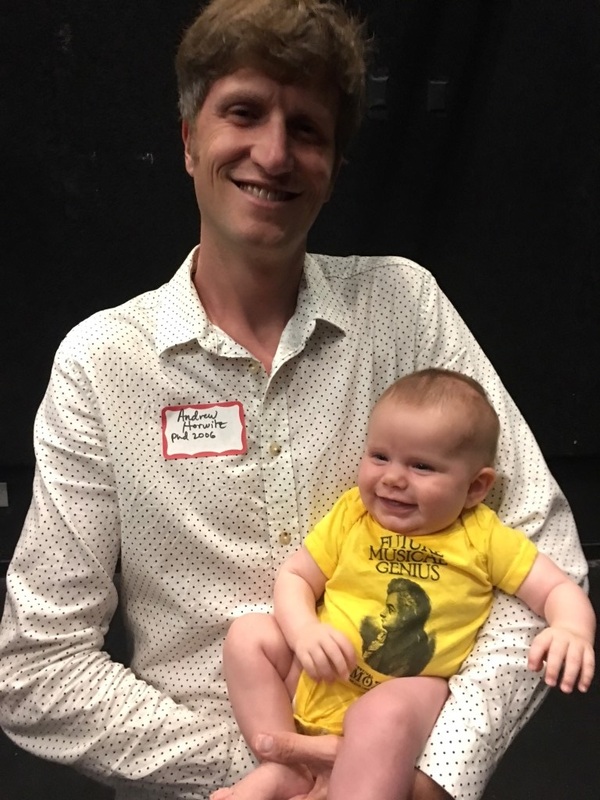 We also had a potential “future musical genius” and Class of 2038 member. Don Maruska (’72) a former Board member of Festival Mozaic organized the event with the support of HCSB leadership. Alumni present included graduates from the College, Masters in Public Health, and the Medical School. We hope to have future events to serve alumni in SLO County and our Santa Barbara colleagues.